Final Fantasy Tactics: The War of the Lions, a hit game from Square Enix, is now available on Google Play for the price of $13.99. 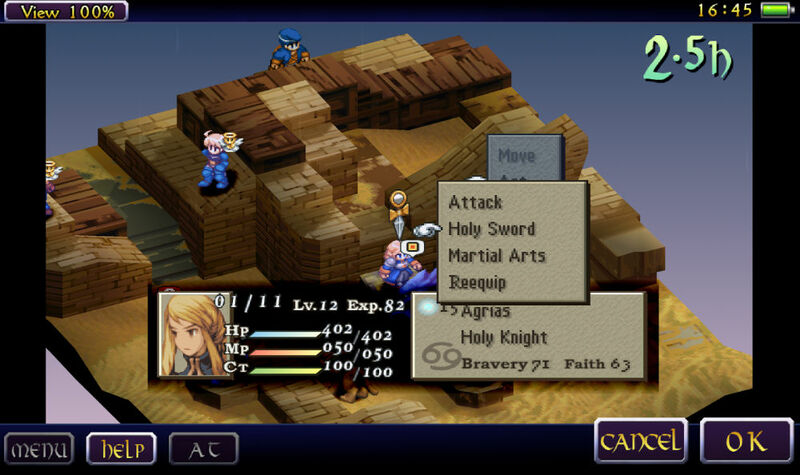 In this Final Fantasy game, players are greeted to a tactical, turn-based RPG, where you must build up your character in order to take on bigger baddies. Each level appears on a boardgame-like map, and various warriors with different skills fight to take control. Honestly, since I have zero experience with it, I would say it looks somewhat similar to old Pokemon games, given the turn-based “attack” or “reequip” commands. To get an idea of what you are in for, watch the super old trailer below. So far, all reviews are 5 stars, so it must be pretty epic.